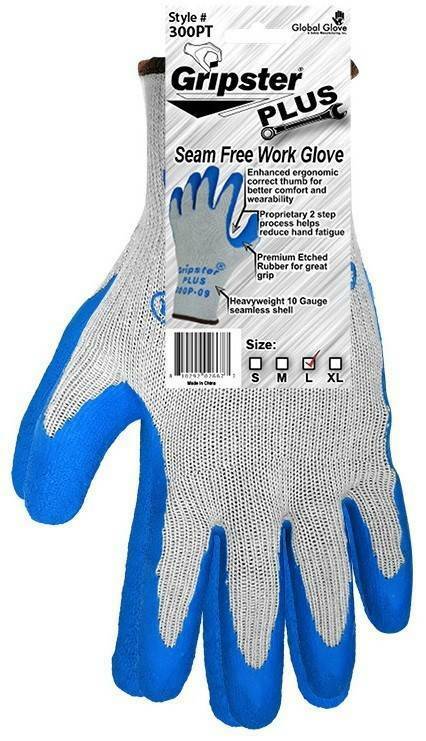 The Global Glove Gripster Plus Gloves features a premium blue etched rubber on gray 10 gauge seamless poly/cotton liner. The enhanced process gives state of the art industry ergonomic correct hand shape for extra comfort and wear ability, knit wrist. 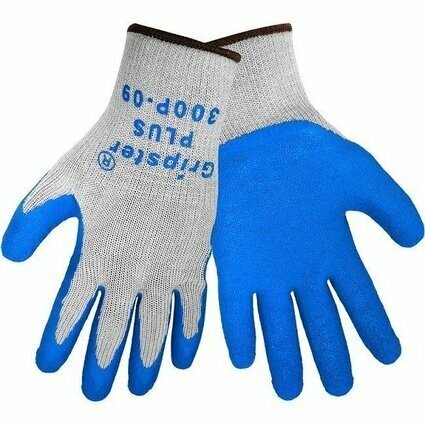 Perfect for any application that requires a great grip. Premium etched rubber palm for extra grip. Enhanced thumb crotch process provides ergonomic correct fit. Wears better and is more comfortable. 10 gauge Poly/cotton shell for comfort.